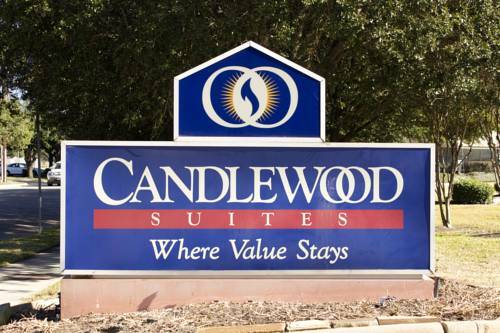 Welcome to Houston, Texas and to the Candlewood Suites Houston CityCentre I-10 West! Entertainment, dining and shopping in CityCentre Plaza is only a short walk away when you stay at the Candlewood Suites Houston CityCentre I-10 West! Our hotel has convenient access to the intersection of the Katy Freeway and Sam Houston Tollway. Desser-Rand, Siemens, Mitsubishi are only a few among the many major companies within just a few miles of our hotel. Memorial Hermann Hospital, as well as the west campuses of Methodist Hospital and Texas Children's Hospital are also located just a short distance away. This all-suites hotel offers our guests the amenities to fit their extended-stay needs with fully-furnished guest suites. Free guest laundry, free Wi-Fi, free parking and our 24/7 super friendly and professional team are included in your stay! So book your stay with us now and come see what all the fuss is about! The 18-hole course at the Pine Crest Golf Club facility in Houston features 6,907 yards of golf from the longest tees for a par of 72 . The course rating is 72.5 and it has a slope rating of 124. NFL Texans and Home of the Houston Livestock and Rodeo. A Lush, tropical landscape with over 4,500 exotic animals. Filled with shaded trails and exotic habitats. Play the day away at the Downtown Aquarium, featuring rides and amusements that will delight the whole family. Johnson Space Center is a federal facility home to Mission Control Center where Space Schuttle missions are monitored and directed from seconds launch to landing. The Center has actual spacecraft, spacesuits and other artifacts as well new exhibits. Kemah Boardwalk is the perfect family get away, offering Dining, Amusement the entire family would enjoy, rides and shopping. Daring speeds slides, endless rivers, uphill water coasters, waves for surfing, splashing and relaxing, plus kid-friendly water playgrounds -- Schlitterbahn Galveston Island Waterpark -- your family will be thrilled! Open daily during the summer. Bass Pro Sop has more than 130,00 sq. ft. of outdoor fun for the entire family. Sharpen your skills at the laser shooting arcade. exciting displays, hunting gear, footware, camping, clothing, golf and white water fly shop. A playground for young minds. The museum is packed with 90,000 sq. ft. of interactive exhibits. Experience the wonders of science up close from ancient dinosaurs to stunning gems, plus a variety of fascinating rotating exhibition.